Make Your Own Solar Eclipse Viewer! Since the sun is very bright and emits UV and infrared waves, it is extremely dangerous to look directly at the sun, even during a total solar eclipse. With this simple DIY Eclipse Viewer, you and your kids can safely view the changing sun without eclipse glasses! 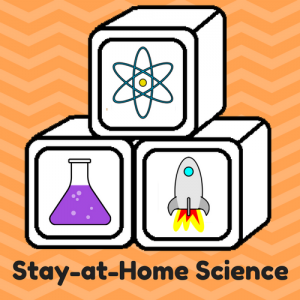 This super-simple activity is great for even the tiniest scientists! (My 17-month old loved it!) The messiness rating is a little high on this one, so take advantage of the warming weather and set up outside in the sunshine.